MUMBAI: A big fight took place at the sets of the reality show, The Voice. 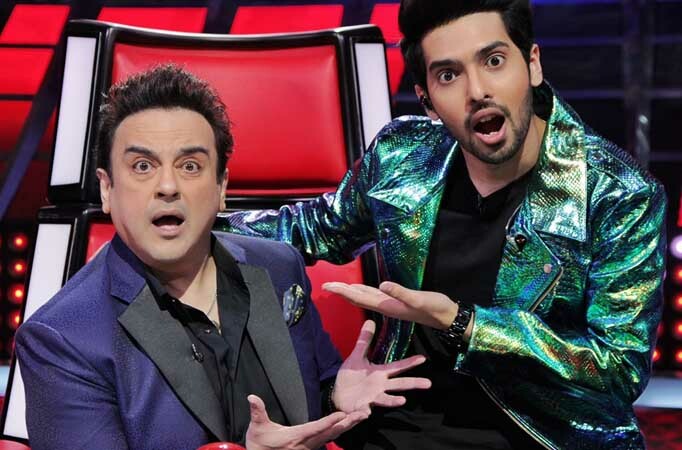 A war of words took place between Adnan Sami and Armaan Malik who are two of the many judges on the show. Reportedly, both the singers do not share a cordial relationship with each other as both feel that the other one plays a game of one upmanship by having the last word. But yesterday, things became worse.According to a report in SpotboyE.com, Armaan did not go to the set directly, but he went into Hotel Westin and called up the show’s team to enquire if Adnan has arrived, and when he was told that Adnan hasn’t reached Film City, he said that he will begin when the latter arrives. After a few minutes, he was informed that Adnan has not only arrived but all ready to shoot, and then Armaan set out for the show but only after taking his own time to chill a bit in Westin. Once he reached the sets, a war of words took place between the two, and suddenly, Adnan walked out and shut himself in his vanity van. The team ran after him but he would not relent, he returned to shoot after two hours.